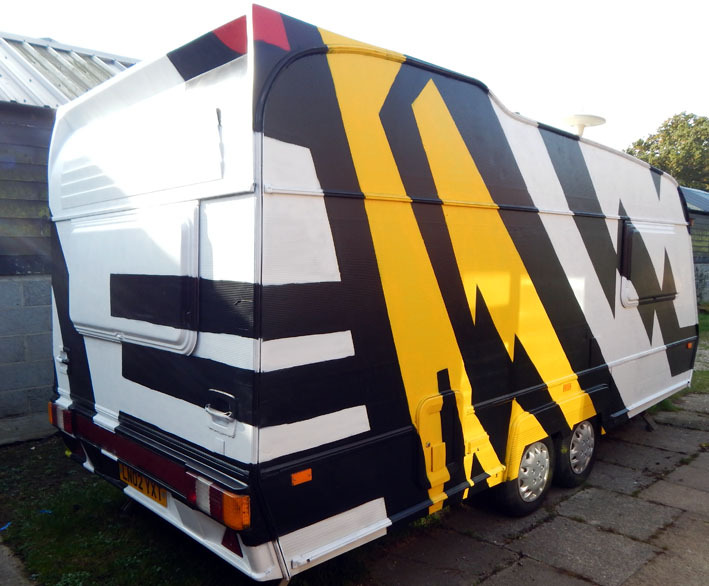 The exterior was painted by a local Street Artist, the design came from his response to the dazzle battleships of WW1, with a twist of light hearted fun thrown it. 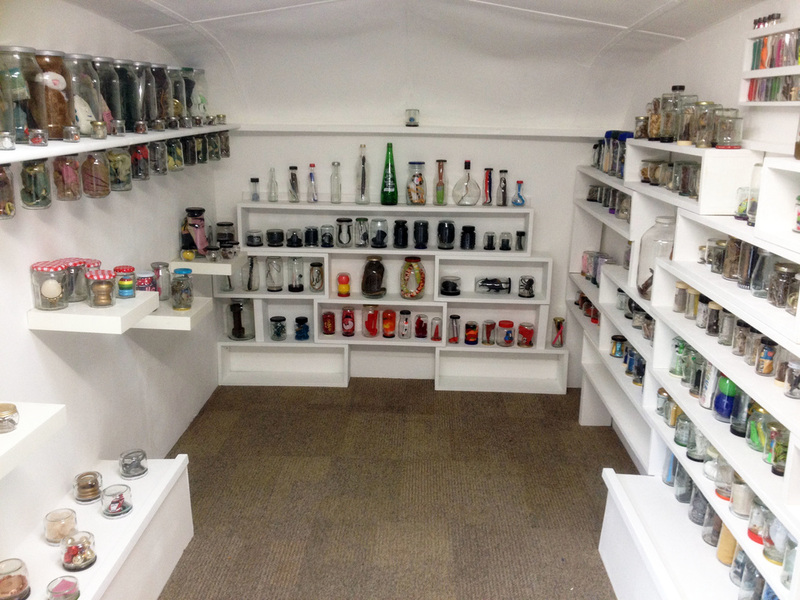 The Caravan of Curiosity is currently home to the One Green Bottle installation, a self-imposed, year long quest during which time 365 found objects were each placed in a glass jar. Each specimen acquiring a preciousness they had not previously had, resulting in a thought provoking museum-like exhibition.